The Teachers’ ICT Retooling Program has resumed. This year 2017, units covered include Elementary Programming, Database Management, Desktop Publishing and Management of ICTs. This training targets 300 Secondary School Teachers from across the Country selected by Ministry of Education and Sports. Workshops since 2011 when they were established. It is a humbling experience to reflect on the fact that this program started with an observation of a need for teacher training conceived while we were touring the country with Uganda Communications Commission Team under another project “Youth ICT Camps”. The issue was tabled, proposals ensued and for two years, we worked to hammer out a mechanism. I remember the joy we shared on hearing that the proposal had been approved. Our strategy is a humble one. 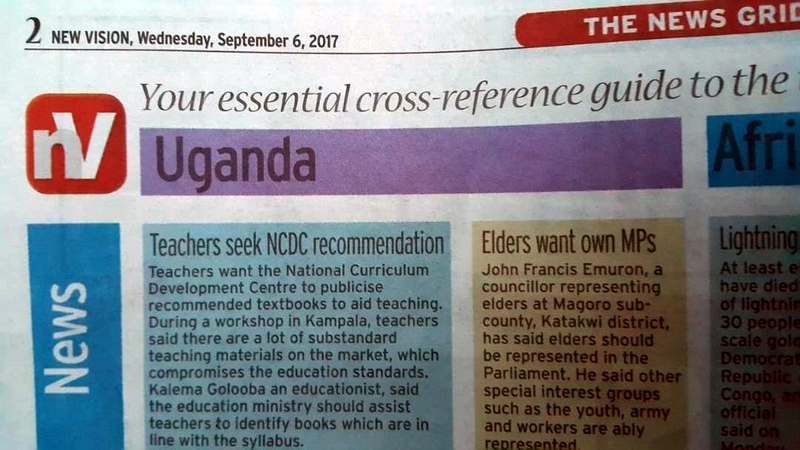 UCC supports us with funding for food, training materials and facilitators; the schools transport teachers, while Ministry of Education and Sports mobilises and oversees the training. Training takes place in a school, where the participants were formerly hosted in classrooms in the holidays to minimize costs. We use a pragmatic approach in identifying training needs. We are teachers, actively serving in the profession,. 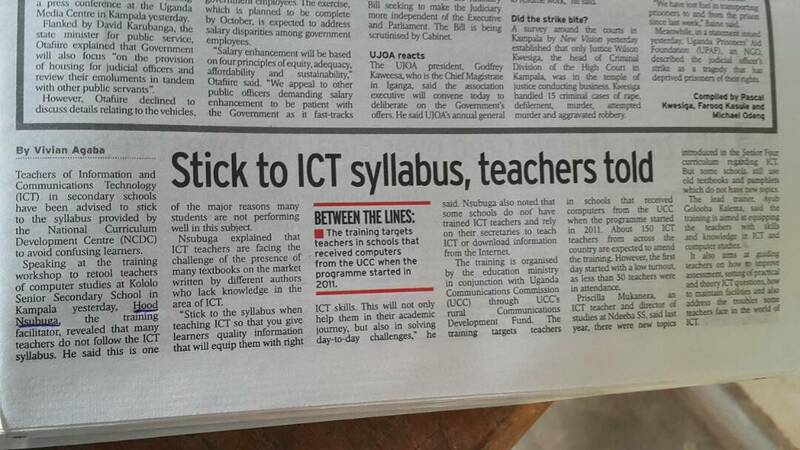 As such we keep tabs on what the challenges are and maintain communication with fellow teachers in the country. This helps us develop a training program tuned to the needs of the participants; which explain close to 100% attendance of our sessions once the participant reports for training. 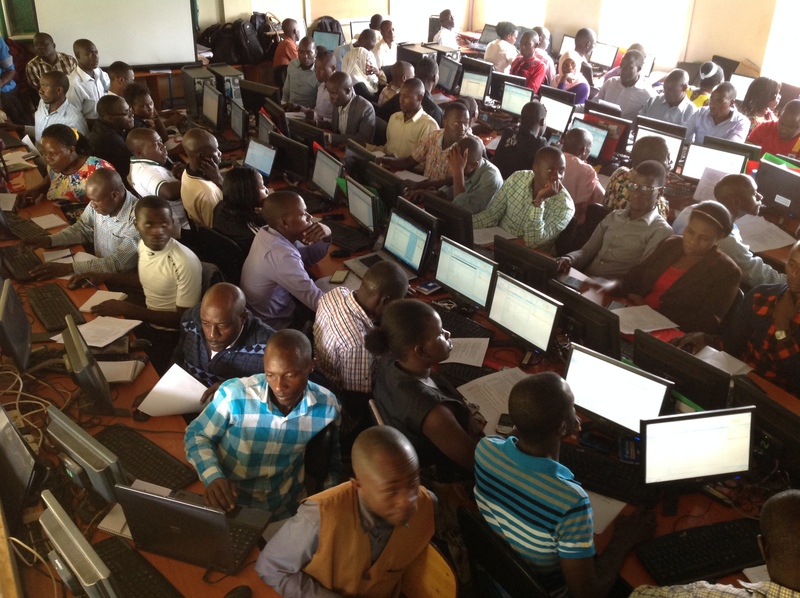 This retooling is a temporary endeavor which originally was originally conceived to equip teachers of other subjects subjects already in active service to teach ICT and Computer Studies. With time, as universities and colleges begin to churn out teachers, and as teachers become more competent, it may be phased out. 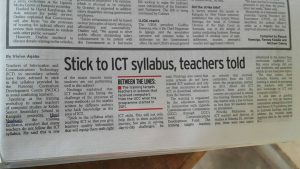 For now however, it seems the only credible way of upskilling teachers to effectively teach ICT/Computer studies. We are humbled by the recognition it has received. 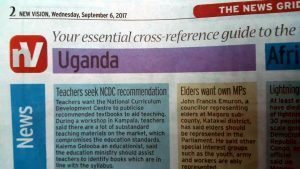 Just this week, it featured for 3 straight days in the leading daily, The New Vision with teachers sharing testimonies, challenges and hopes. I welcomed the chance to be retooled with all my heart. The challenges are many out there but the first day has given us the best approach to go about them. Waiting for day two. Thanks to whoever has done something to make this re-tooling happen! Big up to UCC’s Rural Communication Development Fund for funding and Ministry of Education and Sports for organising! It is our hope and dream that all teachers have an opportunity to undertake such training. Surely Ayub ur works! You are so motivating! You have given me hope that a teacher of Geography will also be a real ICT teacher who is not just a mere teacher but with teaching in me. That was a spectacular opportunity for teachers to meet and share their minds about ICT and I just wanna thank you Mr. Golooba for pioneering this project . I loved it. I look forward to learning more from you. Its always a pleasure to have educators meet and share about how to improve their work. I am glad you appreciate it. Lets keep the first burning and cause change in our communities. This must have been a great moment. I have attended several of these similar workshops and this guy, Ayub is so amazing!. Thank you for organising these workshops “Mr Gambler”. A complement like this coming from such a respect ICT-in-Education guru like you makes me get some goose pimples. I am encouraged by the remarks and would love to do even better. Here in the U.S, I have met with a team of professionals and mentors who are guiding me and others to take our game to the next level. The program is intense but doable; and I am making the most of it. Will be in touch with new methods and approaches.